Gumboots and galoshes are likely to be a sellout in North Carolina as the World Equestrian Games is expected to be battered with heavy rain and wind over the weekend. Thunderstorms late in the week not related to Hurricane Florence were predicted to lead into the hurricane’s landfall on Friday night. Poor underfoot conditions, and heat and humidity, contributed to the cancellation of the World Championship Endurance competition earlier in the week. 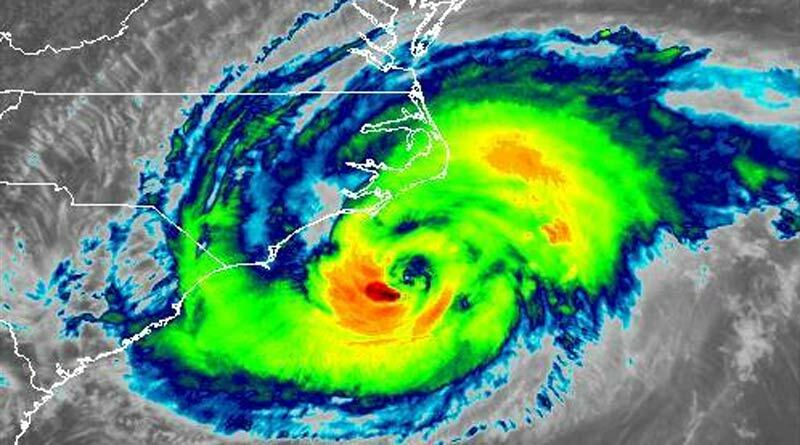 The USA’s National Weather Service, which is stationed at WEG venue, the Tryon International Equestrian Center, said Hurricane Florence was expected to make landfall near the North and South Carolina coastal border on Friday night. “The projected weather pattern here at TIEC will be heavy rain on Sunday evening into Monday and possibly Tuesday, with winds peaking on Sunday evening at 30mph with gusts of up to 40mph,” the federal government agency said. A “robust evacuation protocol” is in place at TIEC, according to FEI Secretary General Sabrina Ibáñez and TIEC head Sharon Decker. The center in the foothills of the Blue Ridge Mountain Range has permanent stables for 1288 horses, and all barns were built to conform with the International Building Code to withstand winds up to 90mph (144kph). In May this year, an endurance test event was successfully held at the venue, leading to questions about continued alterations to the trails including major earthworks. An endurance test event took place at the Tryon International Endurance Center in May this year.